Looking for how to watch the Houston Rockets online legally this season? Here's everything you need to know to get Rockets live stream action without cable. The best option for out-of-market fans who want exclusive access to the Rockets. Data effective 10/17/2018. Offers and availability may vary by location and are subject to change. The Houston Rockets are rarin’ to go, and all the excitement officially tips off on October 17th, where the first 3,000 guests will reportedly get a James Harden bobblehead. While that’s a pretty cool collectable, we know not everyone can rush down to Toyota Stadium. If you can’t make it to the court but still want to catch every moment of the Rockets’ action, you’ve come to the right place. Scroll ahead for the best ways to see the Houston games from the comfort of your home (bobblehead not included). As a championship contender, some Houston Rockets games are already slotted for nationally covered channels like ESPN and ABC. Still, the real key to complete Rockets coverage is AT&T SportsNet Southwest. But before you start checking channel lineups, you’ve got to find yourself on the region map. Figuring out if you’re in market or out of market will make a huge difference in what services will work for you. If you live in market, then DIRECTV and DISH are both great options, so go ahead and start comparing. If you’re out of market, then NBA Team pass just became your best friend. Still, we think it’s little details that make or break a service, so we’ve got them for you. Keep reading to find the service that meets your needs. DISH offers a reliable way to see the basketball you love. Its nationwide service includes access to the AT&T SportsNet you need for a steady, consistent price. You can check out its package options for a better idea of its offerings. DISH’s greatest draw isn’t really apparent at first scroll. If you’re like us and money is number one on your list of deciding factors, it’s worth reading the fine print—which we already did for you (you’re welcome). The $69.99 monthly price for the America’s Top 120 Plus package seems high, but it doesn’t rise during the course of the contract unlike other service providers (cough, cough, DIRECTV). Plus, the local sports fee (your ticket to the AT&T SportsNet) is already included in the price. DISH also gives you access to ESPN, TNT, ABC and over 190 other popular channels—a real perk for nationally broadcasted games and a definite need during the Finals. Included in DISH’s America’s Top 120 Plus package is the free Hopper Duo DVR. While its good for the basic user, we’d suggest an upgrade to DISH’s Hopper 3. This bad boy comes with 500 hours of HD recording and the ability to record 16 simultaneous programs for only $5 extra a month. It’s the best on the market—in fact, you might call it the James Harden of DVRs. So overall, DISH is a bit pricey but way worth it for the in-market fan. DIRECTV matches DISH’s services when it comes to game access but includes a pretty significant price hike year two. Check out some package options. For in-market Rocket fans, DIRECTV’s most obvious draw is its initial low monthly cost. At only $45 a month, the CHOICE package seems like a steal. Maybe. Because on the other hand, with DIRECTV, you’re locked into a two-year contract with a significant price hike scheduled for year two. The price jump to about double your initial monthly price ($105 versus the $45). We don’t know about you, but we don’t like unknowns when it comes to money. That’s why DIRECTV takes second in our book, despite being a solid service overall. Besides the price hike, DIRECTV’s services are similar to DISH. The in-market fan gets the Rockets on AT&T SportsNet and any nationally projected games on ESPN, ABC, TNT, etc. Along with the Rockets, the CHOICE package also gets you access to over 185 channels for non-Houston watching fun. If you can’t guarantee you’ll be on the couch come game time, DIRECTV might be the best option for you. It offers the AT&T SportsNet app, which allows you to stream the regional sports coverage right on your phone. A nice perk for the ever-moving fan.  All in all, with a low initial price and good channel coverage, DIRECTV offers a solid service for your Houston Rockets viewing needs. The NBA League Pass offers a no-frills way to catch all of the Rockets games at home in your living room or on the go with your phone. Check out plan options. The NBA Team Pass benefits are pretty obvious. First, the price. At only $17.99 a month (or 119.99 for the whole season), it’s easily one of the cheapest ways to get the Rockets’ games. With this service, you get the games even if you’re living in “enemy territory”—we hear you, San Francisco–based Rockets fans. Stay strong. But one of the NBA Team Pass’ main benefits is also its main drawback: it gets you only out-of-market NBA games. With this service alone, you’ll miss out on nationally broadcasted games and championships. You’ll have to pay a different TV service to see that. That’s mainly why the NBA Team Pass ranks lower on our list. The NBA League Pass might sound tempting if you’re in market, but resist. In-market fans are subject to major game blackouts. Any game appearing on local sports stations will be blocked and remain unwatchable until several hours after the game. If you’re willing to wait to watch the game, this could be a solution for you, but all it takes is one buddy’s spoiler-ridden text and your game could be ruined. We don’t think it’s worth the risk. NBA addicts might find NBA Team Pass a little too basic. If that’s the case, then the next package up, NBA League Pass, might be the perfect fit instead. For just an extra $100 per season, you gain access to all NBA games (not just one team’s games, though still out-of-market only) and its on-demand library of classic basketball moments. That’s a lot of basketball. 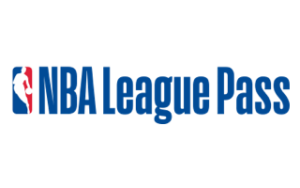 If you’re unsure if this service is right for you, you can try the NBA League Pass from October 16 to 23 for free. Just log in to your NBA account, and you’ll get an all-access pass for that week. Start watching the Houston Rockets now! Go Rockets! Whichever service you choose, you’ll be covered for the season opener on October 17. Grab a beer and order the pizza now because it’s going to be an epic season. If you have questions or comments on how to watch the Houston Rockets 2018, feel free to let us know us on Twitter or send us an email. We’re here to help.